Do You Need Sore Muscles to Make Gains? Nothing beats waking up and feeling a little stiff and sore from your workout. It lets you know that you really pushed yourself and maybe even stimulated some muscle growth. As satisfying as a little DOMS (delayed onset muscle soreness) is, it can be quite elusive. You can crush a workout and not feel a thing the next day. Other times mild workouts can hit you harder than expected. It’s very hard to make it happen on purpose, let alone with any measure of consistency. The inevitable question is, do you need that muscle soreness to grow muscle? Does a lack of sore muscles mean your workout was a waste of time? The short answer is no, you don’t have to make your muscle sore in order to make gains. Sore muscles are a sure sign that you’ve “shocked” your muscles and probably stimulated some change. That said, you can still simulate growth without feeling soreness. 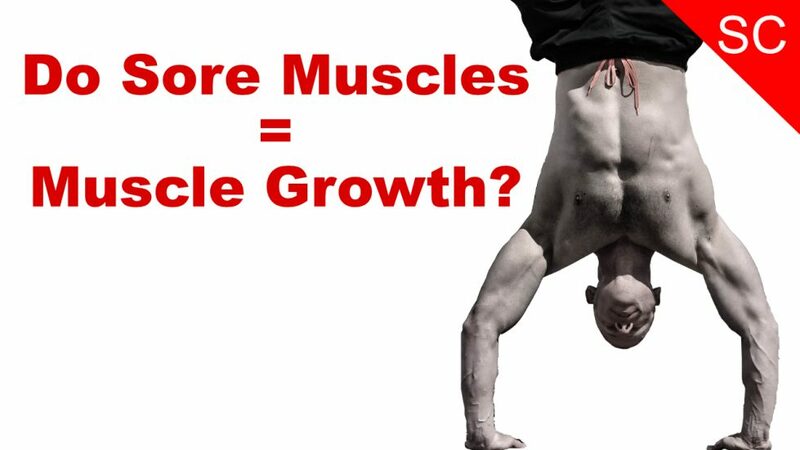 Just think of some of your muscles that have grown bigger and stronger. They might have been a little sore at first, but they weren’t sore during the whole time they were getting bigger. At the same time, remember when you’ve made a muscle so sore you can hardly use it. Even though you were incredibly sore, those muscles didn’t grow terribly fast in relation to the discomfort you experienced. So here’s the bottom line; muscle soreness is a sign that you’ve stressed your muscles and probably had a productive workout. Congrats and celebrate with a good night’s sleep and some good food. However, a lack of muscle soreness doesn’t mean your workout was a dud. The sure way to know if your workout was effective is if you’re progressively using your training to improve performance, time under tension, or you’re burning a lot of extra calories.